Randy M. Forguson, age 66, of New Smyrna Beach, passed away peacefully in the company of his wife Sunday, August 19, 2018 at his beloved farm, Golden Pond, in Samsula. He was born in Memphis, TN to Loyce E. and Elsie Irene Evenden Forguson. In his early years he started off playing music in the Methodist Church. After graduating in 1970 from Mainland High School he expanded his music career as a disc jockey. That is how he met his wife, Kitty, in 1976, when he interviewed her after she won the Miss Daytona pageant. 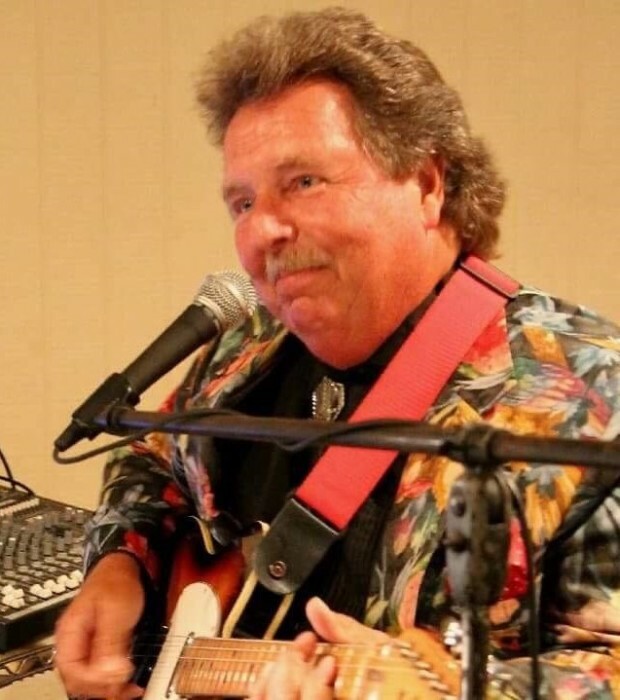 A professional musician, Randy was a renowned steel guitar player. He was a member of bands such as "Reload" and "Sugar Mill Express” and also performed as a single. He worked hard for many years transporting the US mail to postal hubs throughout central Florida until retirement, all the while pursuing his passion for music. Randy's hobbies included music, barbecuing, dancing, RVing, boating, fishing and hosting his famous music festival gatherings at his farm. He was also an ardent FSU and Miami Dolphins fan. Randy loved his farm, whiling away the hours simply mowing his grass (a favored past time), relaxing at his BBQ pavilion, jamming in his music room, and swimming in his pool enjoying the view of his land. He will be fondly remembered by family and friends as a loving husband, father, and Pop Pop. He's remembered not only as a distinguished musician and humorist, but also for his ability to bring people together and make everyone feel like a friend. Randy is survived by his wife of 39 years, Kitty; daughter, Kaytie (Arni) Steingrimsson of Ormond Beach; son, Brett (Sarah) Forguson of Huntington Beach, CA; grandsons, Leifur and Jayden; granddaughter, Elsa; brothers, Wayne (Libby) Forguson and his twin, Ricky (Kim) Forguson. A Celebration of Life will be Saturday, September 8 at 2 pm at SNPJ Lodge, 421 N Samsula Dr, New Smyrna Beach, FL 32168. In lieu of flowers, any donations should go to the Conner McLaughlin fund at Grace Community Church, P.O. Box 78, NSB, FL 32170. The family asks that you spend time with your children, take a walk on the beach with your loved ones and make a toast to enduring friendships... lifelong and beyond. That is what Randy would wish.